When opening a new business, you have a lot to think about. Opening a new business is not as easy as just opening your doors to the public and expecting success. You have to consider how much help you will hire, how much you will pay them, and what measures you will take to protect them while they are working. When it comes to installing systems for your business, there are six you should be especially motivated to put in right away. In this blog, we will discuss the five main systems to install in your business and why they are important. If you find yourself missing one of these systems, or will need them installed or inspected in the near future, contact MLN Fire Protection today. They can help beginning businesses in Houston start off safe and protected. Closed-circuit television (CCTV) monitors are vital to a new business, especially one that wishes to keep its workers and inventory safe. A security camera system will keep workers and customers accountable for their action 24/7. Not only that, but a stream from a security camera can always be used as non-refutable evidence, which could save your business if legal action is ever taken against you. Having a security camera system will keep your business itself safe. For example, if you have an employee or an angered customer that decides to steal money or inventory, you can have evidence against them. Better yet, you can catch them red-handed and dismiss them from your business. If you’re line of business is prone to theft or your business is located in a crime-ridden area, installing security camera systems will keep your property safe. Losing inventory can seriously damage your business and lose you money that you need to continue your business. Security alarms will be able to alert you if someone has tried to get into the building past working hours. Better still, for some alarm systems, the police will automatically be contacted. When you have an alarm that not only alerts you of an invader, but calls the authorities on your behalf, it takes the stress out of the whole, immensely inconvenient situation. What do you do if your home goes through a blackout? Well, for most, you either have a backup system or light a bunch of candles. But if you own a business, you most likely don’t have hundreds of candles. Luckily, emergency lighting systems are available to business owners. So, if your business does suffer a power-outage, you are covered. Better still, if you have a power-outage, or an electrical malfunction, an emergency lighting system will ensure that your customers can have a safe passage from your business to the outdoors. Having emergency, and even safety lighting, is so helpful when trying to provide customers a clear passage. If you decide that emergency lighting is an extra cost with no benefits, you may fall victim to safety citations and even a lawsuit. It is rare, but if a passageway is poorly lit and a customer is injured due to dim lighting, they can sue your business. Lawsuits for a new business is a sure and quick death. Most beginning businesses don’t survive lawsuits because the costs of lawyer and court bankrupt them. 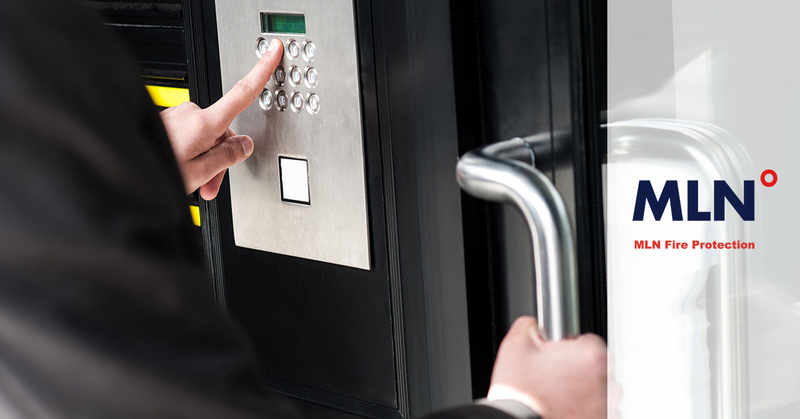 Keep your business safe and protected from incidences with one quick, one-time installation. Gas detection units are important for many different reasons; the most important being that it is able to detect any gas leak within your business. Gas leaks can happen to any building and if unaware of their presence the consequences could be deadly. Using gas detection systems will keep your business safe from leaks, CO2 (carbon dioxide) and CO (carbon monoxide), and other gaseous leaks. Depending on the type of business you are running, your risk for leaks can differ. However, no business is exempt from the need of a gas detector. Though gas detectors are very important, smoke detectors are also very important. In some businesses, such as restaurants, smoke detectors are incredibly vital for the safety of your staff and customers. Smoke detectors will be able to alert you the instant smoke builds up from a piece of burnt food, or in the event of a real fire. Before any sprinkler system, or even a staff member notices the fire, your alarm system will be able to let you know of the threat. Whether you believe fire alarms are useful or not, they are mandatory in all businesses in every state. Not only are smoke detector mandatory, but if you are found to not have a smoke detector, your business would be fined up to $1,500. Fire sprinkler systems are a must for any well protected business. Fire sprinklers will not only alert you of a current fire but take preventative action to keep the fire from spreading. When a fire goes off, a fire sprinkler system will douse the fire in the specific area where the temperature has spiked to “fire-like temperatures.” Not all states regulate to put in fire sprinklers, however most states do in commercial or residential buildings. That being said, whether it is mandatory or not, fire sprinkler systems are a good investment. Even if you don’t think your business could ever be the victim of a fire, you often don’t want to take that chance, especially if you have customers within the confines of your business. By doing a one-time installation, you never have to constantly worry about “what ifs.” Instead, you can turn your attention to pressing matters, such as your customer service and your products. MLN Company is here to protect the business of Houston, Texas. 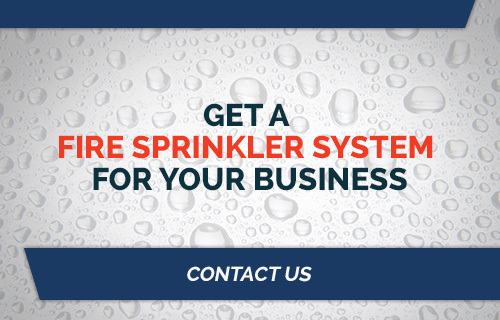 If you believe your business is in need of fire sprinkler installations or an inspection, we are here to help. Though fire sprinklers generally are a one-time installation, they do need routine fire sprinkler inspections to insure their proper function. 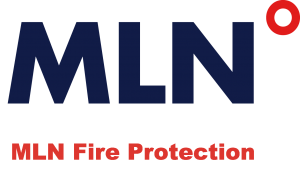 MLN is a proud local service that has years of experience in the fire sprinkler industry. If in need, contact MLN Company today!